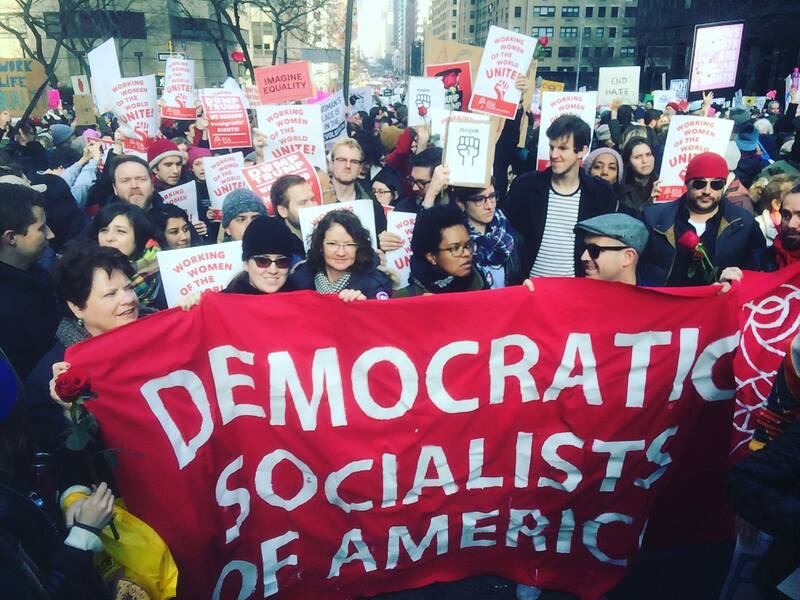 The Democratic Socialists of America (DSA) has emerged as the largest socialist organization in the United States since the collapse of the Communist Party (CP) in the mid-1950s. While Bernie Sanders’ ‘democratic socialist’ campaign for president in 2016 laid much of the groundwork for DSA’s growth, it was Donald Trump’s election to the presidency that boosted its membership from 5,000 to around 32,000 members today. There is simply no other organization on the U.S. Left that can claim such membership numbers. DSA has given some form and structure to the growing radicalization of a new generation of young people after being quite formless for some time. Reflecting the influx of new, younger people, DSA’s average median age has dramatically changed from sixty-eight years old in 2013 to thirty-three today. It is a younger, vibrant, and more confident organization, no longer a political retirement home for an older generation. The influx of young radicals has also led to a dramatic political transformation of the group. At their 2017 convention, DSA passed a series of resolutions in support of the Boycott, Divestment, Sanctions (BDS) movement against Israeli apartheid, Black Lives Matter, prison abolition, and also voted to leave the right-wing Socialist International (SI). A complete list of DSA conventions resolutions that passed or failed is available here. These are some of the key issues that have shaped the new radicalization. Despite these challenges, once in a generation opportunities currently exist for taking the offensive and launching an assertive anti-capitalist politics in the United States. Contradictions, however, also abound in the current DSA. It voted to leave the SI because of the latter’s support for imperialism and austerity, but meanwhile DSA remains supportive of Bernie Sanders’s campaign to transform the Democratic Party, a party of imperialism and austerity. Socialism still needs to separate itself from liberalism in the U.S. Many DSAers, at the same time, are very critical of the Democrats and are supportive of independent socialist/Green party campaigns like Jabari Brisport’s recent campaign for city council in New York. While still others wish to use the Democrats’ ballot line for their own purposes; something that I personally believe is an untenable political position. It creates enormous confusion about what the socialist project in the U.S. is. Are you a socialist or a Democrat? Are you building the Democratic Party or not? If you are ‘using’ the ballot line, doesn’t that make you vulnerable to accusations of dishonesty? Several DSAers won election to public office last November, including Lee Carter in Virginia who won an inspiring victory over Jackson Miller, the Republican majority whip in the Virginia House of Delegates. Carter won despite being abandoned by the state Democratic Party. Since then he has faced redbaiting from his fellow Democratic Party colleagues. Nevertheless, the transformation of DSA has been extraordinary. Delegates to their 2017 convention elected a new National Political Committee, with few holdovers from the previous leadership, made up of young people, including former International Socialist Organization member Delé Balogun. DSA is not your grandfather’s old Cold War Social Democratic grouping anymore. Let me explain. Throughout the Cold War (1948 to 1989), the socialist, social democratic, and labour parties around the world were allied with US imperialism against the USSR. While not uncritical of certain aspects of US foreign policy, even the tiny, moribund Socialist Party of America led by Norman Thomas, was motivated by “anti-Communism” to support the United States in its battle against the USSR for global influence from the late 1940s to the early 1970s. Revealingly, Thomas was a friend of the notorious CIA Director Allen Dulles, who toppled nationalist and progressive governments around the world. This State Department ‘socialism,’ as it was derisively called, led to disastrous results at home and abroad. Leading Socialist Party activists like Tom Kahn, along with former CP leader Jay Lovestone, played major roles in keeping the AFL-CIO allied with US imperialism while directing their fire at critics of US foreign policy. The Students for a Democratic Society (SDS) and many other New Left organizations that wanted to break out of the Cold War consensus and opposed the Vietnam War were attacked by Norman Thomas and DSA co-founder Michael Harrington. Such reactionary political positions ensured that the 1960s passed them by. Michael Harrington later regretted the scorn he heaped on the New Left. Harrington was the best-known socialist in the United States in the 1960s after the publication of his best-selling book, The Other America, an exposé of widespread poverty in affluent America. In 1973, Harrington founded the Democratic Socialist Organization Committee (DSOC), following the crack-up of the Socialist Party in the early 1970s, largely over issues related to the Vietnam War. DSOC took more critical positions on US foreign policy. It played a major role in organizing a national demonstration against registration and the draft, part of President Jimmy Carter’s ramping up of Cold War hostility towards the USSR. This was the first demonstration I went to in Washington, DC. I reminded Joe Schwartz, a Harrington protégé and the only holdover from DSA’s old National Political Committee, not too long ago that the hundreds of posters that DSOC produced for the demonstration were supposed to say “Apocalypse Never”—but they spelled apocalypse wrong. In 1982, DSOC merged with the New America Movement (NAM), a group with more radical roots in the New Left, that created DSA. NAM’s best known figures were the popular writer Barbara Ehrenreich and the erratic intellectual Stanley Aronowitz. While Harrington and Ehrenreich were elected co-chairs of the newly founded DSA, it was Harrington’s ideas and strategy that dominated the group. He argued for a “left-wing of the possible” that easily fit inside the existing liberal wing of the Democratic Party and supported Israel, a continuation of a long tradition of Labor/Socialist Zionism in the United States. Several of us have critiqued Harrington’s politics from the standpoint of revolutionary socialism. Paul Heideman did an exhaustive critique of the “realignment” politics that Harrington’s politics are derivative of, here. I took a stab at it, here. 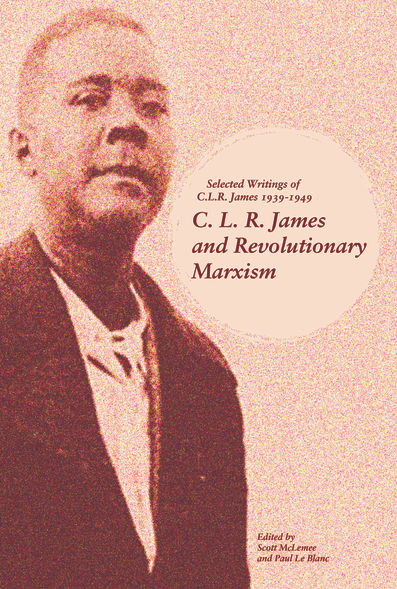 Jacobin editor Bhaskar Sunkara and I had an exchange of views on the legacy of Harrington in Socialist Worker, here, here, and here. My full take on Harrington’s life and legacy is also available, here. There’s no one more surprised by DSA’s rapid transformation than myself. Michael Harrington was the first socialist I read. He convinced me to be a socialist. It was the right-turn of the Carter presidency, however, that drew me to the politics of the International Socialist Organization. When Harrington died in 1989, I wondered at that point if the DSA would survive since it was so identified with him. I had stopped paying attention to them years before then. During the course of the long, difficult decades during the 1980s and 1990s, and well into the 2000s, DSA simply dropped off the map for me. They seemed irrelevant. What does DSA’s transformation mean for the future of the US socialist movement? I suspect that the reality or possibility of left-wing leadership is only one of the reasons why the option of joining Social Democratic parties has begun to look like an attractive proposition. The other is the failure of anyone, anywhere, to successfully build a mass revolutionary party since 1968, through a variety of different periods and situations. Given this failure, it is understandable that some socialists have begun to regard it as impossible, and to draw organizational conclusions. I think that conclusion about revolutionary parties is wrong and stems from the conflation of two separate issues: one is the need for revolutionaries to operate together in a common interventionist organisation and the other is the construction of a mass revolutionary party. 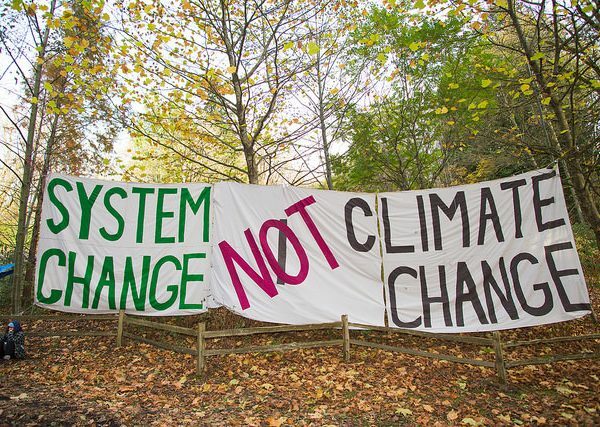 The problem, in my view, is that while the first is possible, the experience of the last half century suggests that the latter is not, outside of a revolutionary situation, and imagining that it is has led to some of the difficulties we currently face. I am not opposed to in principle to joining the Labour Party provided revolutionaries who do so can be open about their politics, but until we resolve the central issue of revolutionary organisation, this can only be a tactical issue. Socialist and communist militants were physically removed from the working class during the late 1940s and 1950s. The socialist tradition is very weak, and still marginal despite the Sanders’ campaign and the growth of DSA. The US political system is weighed heavily against dissenting or third parties. First, I think we need to answer one big question: What type of political organization are we trying to build? I believe that we need to stand for creating a new multi-tendency socialist party. If we live in a new Gilded Age of capitalism, we are certainly back to the beginning in creating a socialist movement. We are starting from scratch, literally. Did the Sanders’ campaign demonstrate the possibility of building a new socialist party even if it was refracted through the distorted prism of the Democratic Party? Yes. Does DSA provide us with the kernel of a new socialist party? It might. I also find it hard to conceive of any revolutionary party emerging in this country outside of a broader, working class-based socialist party. Some people might respond to this by arguing that it’s pure speculation or a dangerous leap. Is arguing for a revolutionary party in the here and now more realistic or practical? I don’t think so. But what are we defending? Staying on the margins of politics for another generation? We unequivocally stand in solidarity with Ahed Tamimi and all those struggling for the liberation of the Palestinian people in Occupied Palestine. We also stand with the 63 Israeli youth who recently wrote a letter saying they won’t serve in the IDF. We recognize our government’s active collaboration with the occupation and oppression of the Palestinian people and we are against it, as evidenced by DSA’s 2017 national convention passing a resolution in support of the Boycott, Divestment, and Sanctions movement. Should she be released and allowed to travel to the United States, we would be honoured to co-sponsor an event at which Ahed and her family of leaders speak. We encourage all members to follow Ahed’s story and continue with our organization’s efforts to support the BDS movement. What I am saying is the reborn DSA—or the next political formation that arises that will share similarities to it—provides the opportunity to create a large socialist organization, even an embryonic party in the United States. That appears to me to be a once in a lifetime opportunity. To even begin to address the enormity of crisis before revolutionaries we have to be prepared to take serious risks to break out of the political margins. Whether it is with the current DSA or another similar organization down the road, this question will not go away, but will become more pressing at each time. Joe Allen is the author of The Package King: A Rank and File History of United Parcel Service, When Fascism was American: Fascism and Antifascism in the 1930s, Vietnam: The (Last) War the U.S. Lost, and “People Wasn’t Made to Burn”: A True Story of Race, Murder, and Justice in Chicago.